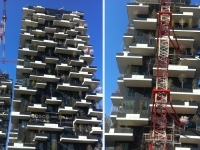 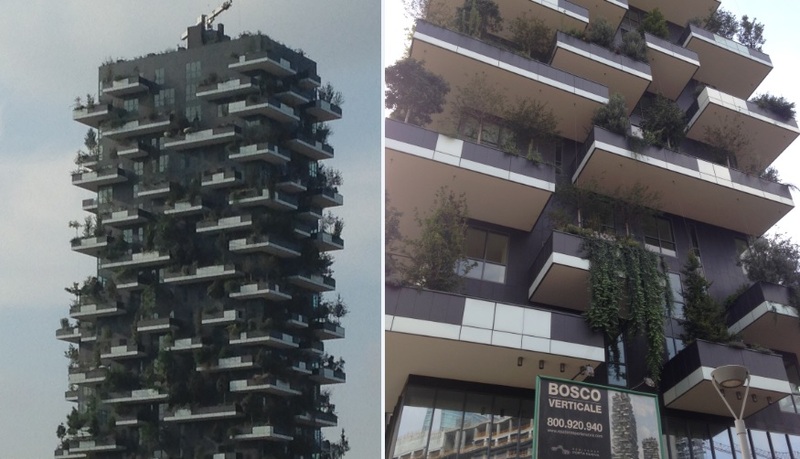 In the last few days a new exciting development has been partially unveiled -with the scaffoldings being removed- in Milan, the second biggest city in Italy and one of the most polluted in Europe. 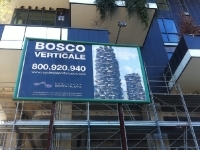 “Bosco Verticale” –literally “Vertical Forest”- by Architectural Studio Boeri, comprises two revolutionary towers that will house 111 apartments. 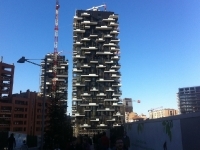 The project is located close to one of the city’s main stations, Garibaldi, in a central area that was partially left in a state of abandonment over the last few decades, the Porta Nuova district, and it is part of a 360.000 sqm mixed-use development that started in 2007 and will be completed before 2015, within the wider scope of the renovations undergoing in the city before the 2015 Milan Expo. 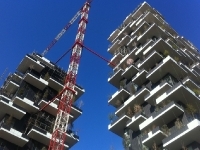 The peculiarity of these two towers lies in the fact that they will house a real vertical forest with tens of thousands of bushes and trees planted onto hanging balconies. 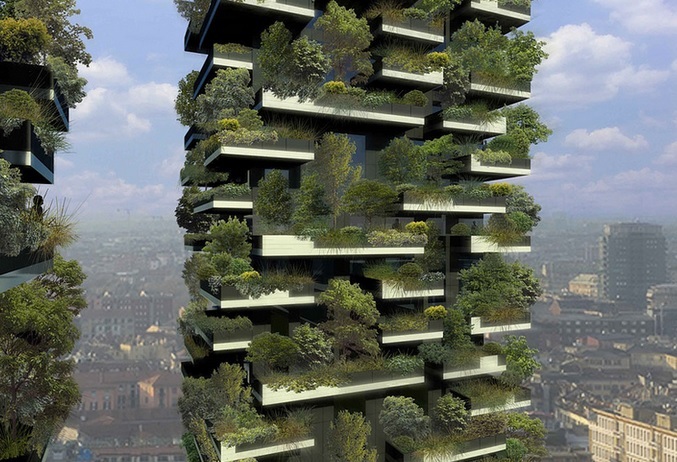 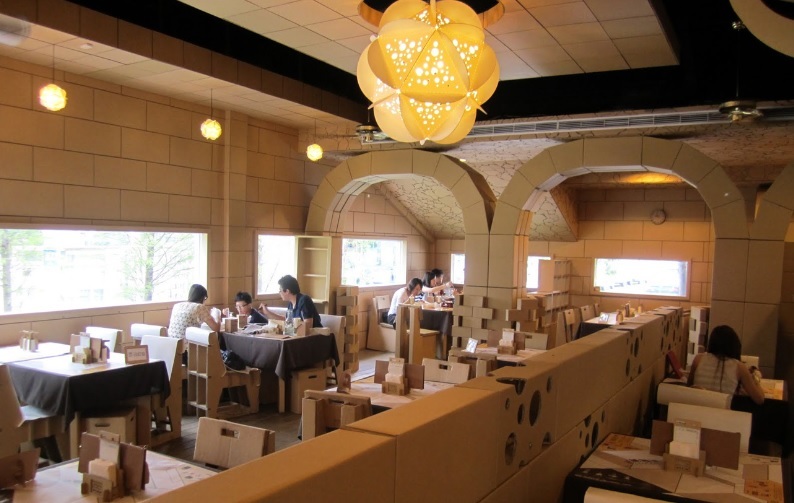 The idea of using vertical plans to grow greens is not new and in fact we are starting to see projects aiming at using vertical gardens in various scales and models (from growing herbs in gutters to a whole a whole vertical farm in Singapore) but this is the first time a full-scale forest is planted vertically. 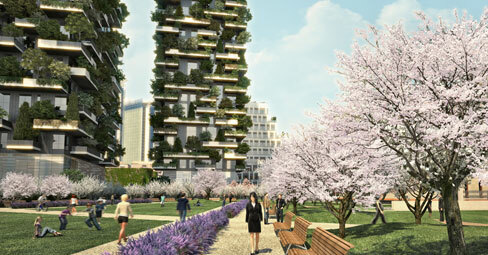 We are talking about 250 small, 480 medium and large size trees, 11000 plants and 5000 bushes that will be watered partially through the grey waters coming from the apartments and that not only will be a pleasure to look at but will contribute to the wellbeing of the residents by adding protection from the hot and cold weather and a filter against the air and noise pollution coming from the surrounding city. 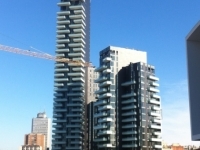 To understand the complexity and scale of the project it will suffice to think the two towers’ planting scheme would cover a 10.000 sqm field if horizontally planted. 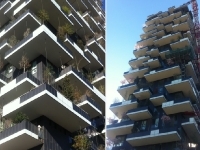 Aside the microclimate created by the plants, the two towers also include the latest green technologies such as solar panels and geothermic and wind energy systems with the goal of minimising the energy demand of the two towers. 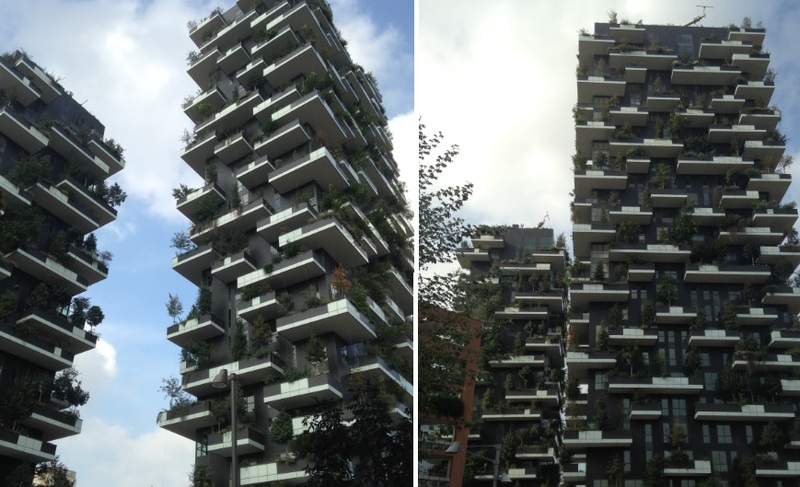 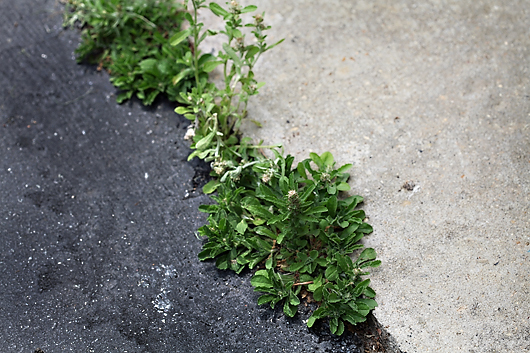 In the next few years we will be able to witness if Bosco Verde will become a successful green lung in the middle of Milan, but we also hope that, thanks also to a worldwide press coverage, this pioneering project will inspire designers and architects to dream a greener life for the inhabitants of the megacities of the future.